Are there any American Civil War ancestors in your family tree? Well, the 1860 census records can help you to find them and they can show you all sorts of information about them. As family historians we want to know everything about our ancestors and learning their story before one of America’s biggest moments can be really interesting. The 1860 census records provides you with a very fascinating insight into the lives of your ancestors before the events of the American Civil War. The information in these records was collected from June 1st 1860 and continued for five months. By the time that this census took place there were 33 states in the Union. What was unique about these records? The previous 1850 census records was a great leap forward as it was the first time that names were recorded on these forms. The following 1860 census records offers the family historian more detailed information for us to work with. A person’s value of their personal estate was asked on this form. However, although this is quite interesting to read we must note that the figure given by the individual may not actually be correct. The reason for this is that they may have been hesitant as they would have been taxed accordingly. So, with a higher figure given then the more taxed that they would have had to pay. Another key element to this record was that the individual provided a more specific answer when it came to where they were born. In the previous census records they would have entered for example Great Britain. On this form however they could enter England, Scotland or Wales. This can therefore help us narrow down our genealogy research even further as we have more of an idea of where we can find our ancestors. The 12 key elements of the 1860 census records! Chances are you will quite easily find your ancestor when you search for them by their name. However, there maybe occasions when you will sadly not find them. If this is the case then I would suggest to you to try either alternative spellings of their name or maybe their initials instead. I have had great luck using these methods, so it’s definitely worth trying. To narrow down your search further you could try to search for your ancestor by entering their date of birth, (that’s if you know it of course). This will greatly narrow down your search results. This is particularly true if your ancestor has a common name. Obviously this key element will show you whether you are looking at a male or a female. It is a good indicator for you if your ancestor has a name that can be used for either a man or a woman. If the enumerator’s handwriting is not really legible and you cannot really read the name of the individual then this field can help your research further as well. 1850 was the first time that this question was added to the census records. Later records would ask the race of the individual. This question though can help you to narrow down the race of your ancestor. Possible answers included white, black, or mulatto. This element of the census records can help you identify whether you have found your ancestor. That is again of course if you know what your ancestor’s occupation was. This field though was entered by any male who was aged 15 years or over. Again I must point out again that the information within these fields may not be entirely accurate. So, please do not pay too much attention to the amounts that were entered for these questions. This field can again help you to narrow down your search for your ancestors within the 1860 census records. If your ancestor migrated to America you will have more of a clue as to where they originated from. The first two questions of this part of the records asked if the individual had either married or had attended school within the year preceding the census records. The third part then asked whether the person, if aged over 20, could read and write. The government also wanted to know whether the individual was deaf and dumb, blind, insane or idiotic. This question was also included in the previous 1850 census records. The last part of this question wanted to know whether the person was a pauper or a convict. This can be really fascinating for you as a family historian as this information can help you to learn more about your ancestor and their story. There was a time when convicts in the family were best left forgotten. But now these skeletons in the closet have become more acceptable and even embraced. This is particularly true for Australian citizens where one fifth of the population do have a convict ancestor in their family tree. After reading this post so far you probably have realized the importance of census records. Not only can they give you the details that you need to build your family tree but also they can provide you with the stories behind your family’s history. But where do you find these records you maybe asking yourself? The first option that I want to present to you is a FREE one. I am all for saving money and why not do so with genealogy research. So, with that in mind why not try out FamilySearch. 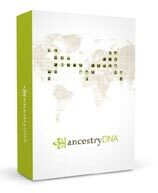 This is a great free resource where you can gather information about your ancestors. There are millions of records within the FamilySearch site and it’s very likely that you will find them within their database. However, one drawback to this website and that is there is the possibility that you will not find some records that you maybe searching for. Their records are growing all the time but there maybe some information that they do not have. You will therefore need to turn your attention to the paid sites. There are two websites that I highly recommend you to use for your genealogy research and they are Ancestry and FindMyPast. Both of these sites offer billions of records. There will be much more of a chance of you finding your ancestors within their databases as they do contain more records. Ancestry is of course the more popular choice. This is most probably because everyone is more familiar with this site. We all have heard of Ancestry, even people who are not interested in family history have heard of this genealogy search website. If you do not find your ancestors when using Ancestry then I would suggest that you try FindMyPast instead. This is because they may have indexed your ancestor’s records differently. The person transcribing the 1860 census records may have read the details differently than someone from Ancestry. The reason for this comes down to trying to read the enumerator’s handwriting. Obviously errors will creep in. Sometimes when I haven’t had much luck finding my ancestors using the Ancestry site I have turned my attention to FindMyPast. And luckily that I did because there was the record. Some of my ancestors have been entered as ‘Cooch’ or ‘Cauch’ on these sites. So, if you cannot find your ancestors on one of these then why not try the other? The 1860 census records is a great way for you to learn about your ancestors. You can find out so much about them as I have discussed above in this post. It really is fascinating to learn where they were and what they were doing before the Civil War broke out. Census records have become a great asset for family historians as they offer so much. And as I have said in the previous section you can get that information freely from the FamilySearch website. 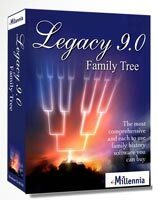 Write your very own family history book! One great way that you can make sense of all the information that is in these census records is to write a family history book. I have done this myself and believe me it really has helped. You can put into words what you have found out. And by doing this you can pick up the stories as well. So, as I picked on earlier you could ask the question why did my ancestor move about the country? What was the reason for this migration? That is just one example, but there are many others. Writing your family history can also be a great way to present and preserve your findings to the rest of your family. Your family history book can be easily copied and passed down to your children, and their children and so on. I am really proud of the family history book that I have created and I can’t wait to share it with my daughters when they are old enough. I hope you enjoyed this post explaining what you can learn from the 1860 census records. If you have any questions or comments then please leave a comment below. I have read some of your work about an ancestor search. I found the story you mention here to be nice and enlightening as to help you with your search. I have always been curious about my heritage and this post here is taking it to another level. It’s important and interesting to know that you can learn a lot about your ancestor from records such as these. And as I have pointed out not only can you get the details from these records but you can learn so much from them. Try to read between the lines. There is just so much you can get from these records. I was so amazed what I found out about my ancestors. And so I wanted to share that discovery and show you the family historian the potential behind these records. Hi Owain! This is great. My brother spent a couple of years on our family history and traveled to meet one of our relatives who is a Monk in a small town outside of London. He took my brother to family graveyards. It was not a coincidence that both of them had the same inquisitive nature and they shared much information. That’s really interesting that your relative is a monk. Your brother could learn a lot from your ancestors graves. That is something that I want to touch upon on a later post. There is just so much information out that. It is just knowing about it all, where to find it and how to use it. You’re quite welcome Arianna. Yes census records are very rich with information that can help us know more about our ancestors. Looking for the stories was something I didn’t expect when I first used this resource. But as I looked closer I saw just how much potential that they did have.